I have fingers more useful for a past job wielding a spade or shovel than for manipulation of a touch screen, so the following is applicable to the desktop version of the creation rather than the phone based one. However, I did have a quick look and it seems to be the same for the most part. 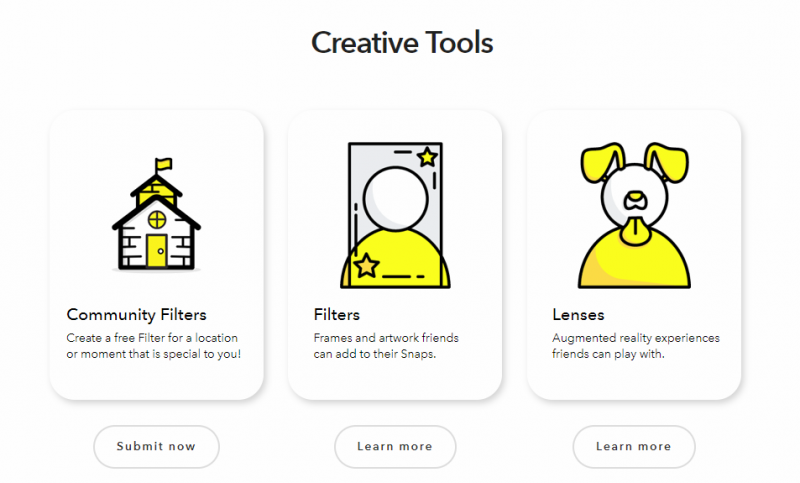 From the desktop home of Snapchat, the first step is to select ‘Create’ from the top menu. Community Filters – if your event is not business related (ie a community, school or local government project), you can use Community Filters to create a location specific filter free of charge (subject to approval and adherence to Snap’s T&Cs). The creation process is the same for both community and standard filters, but will not allow logos, slogans or any other branded content. 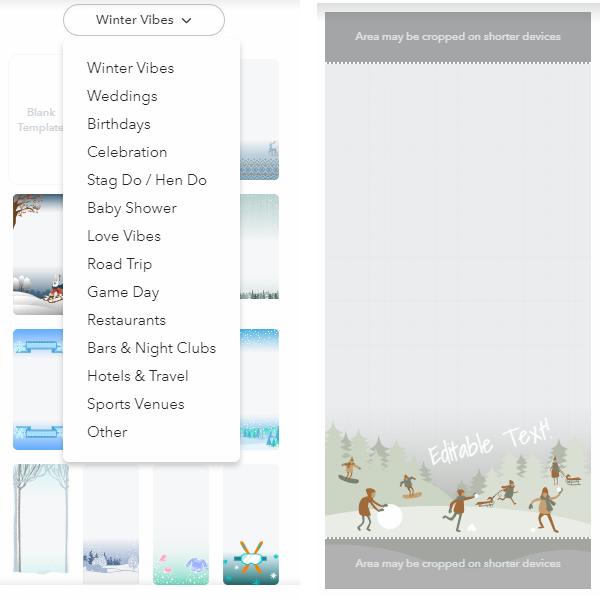 Filters – standard filter creation follows the process below, allowing you to create celebratory personal or business filters for important life and corporate moments. These are charged based on the geographic area your filter will be available to. While you can leap in to creating your own custom filters from scratch, there are customisable templates available in the create space on the platform. While, obviously, the number of possible templates is limited, there are a number of themes useful for community events ranging from seasonal to celebratory. These are further customisable with the option to change the colour palette and add text boxes. If, however, you want something more tailored to your individual event, community or business, you can look to upload your own – something slightly less plain than the one below I threw together in a few minutes (most of which were spent Googling images of the logos with transparent backgrounds). There are filter guidelines available to download for Photoshop (the PSD is compatible with GIMP for anyone using the free software). Once you’ve designed your filter, you can select the date range for it to run during, whether the event is a one off occurrence or a repeating one (in the case of geo-specific but not time specific options, this isn’t an option), and the time from and to. Unfortunately, you can only book the filter six months in advance, so I selected an arbitrary date range. The next step is to map out the area the filter will be available – this, along with the timeframe – are responsible for calculating the eventual cost of the filter. As the Benchmark Search Conference takes place at the Deansgate Hilton Hotel, I set the gate to the grounds of the hotel. As you can see – for the furthest in the future I can book it, for the Hilton Hotel, the total cost is just shy of a fiver – good value even if you add in a prize for a randomly selected share of the image on Twitter or something similar. While most people won’t look to snap their friends a picture of a corporate event, the save function allows you to encourage wider sharing of the image elsewhere and, hopefully, more exposure of your event. Overall, while it will take design abilities beyond my own (not overly tough) to produce something worthy, the filters could represent a good, low investment promotional tool for most branded events and, as it’s free, is definitely worth thinking about for community events. Click Consult’s blog is a resource for thousands of search marketers every month; why not sign up to avoid missing out? Alternatively, check out our resource section for more helpful content or contact us today to see what we can do for your brand.